All types of people enjoy buying silver coins for a variety of reasons, including numismatic enjoyment, investment, artistic appreciation and holiday gifts for themselves and others. 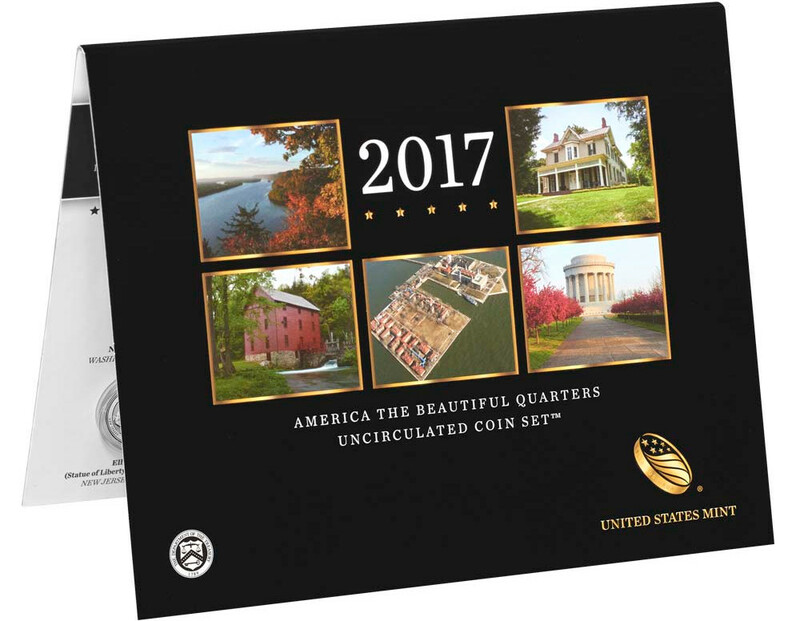 Whatever the reason, no matter the season, the United States Mint perennially offers an array of silver coins, and the year 2017 is no exception. There is a huge selection of 2017 silver coins from the United States Mint that is sure to please collectors and investors of all kinds. 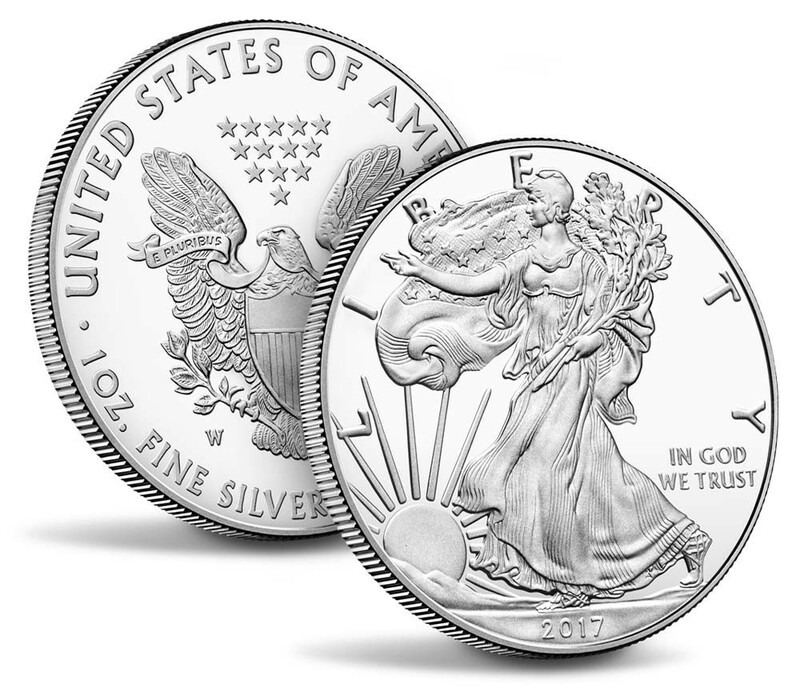 ​Now in its 32nd year, the American Silver Eagle series continue on with uncirculated, proof, and bullion versions of the 2017 Silver Eagle. Bullion issues are available for sale through private precious metals dealers, while uncirculated and proof issues can be bought from the United States Mint. American Silver Eagles, which have been struck on an annual basis since 1986, carry an obverse Walking Liberty design by Adolph A. Weinman that first appeared on the United States half dollar in 1916 and remained there until 1947. ​When the United States Mint issued a non-monetized .999-fine silver medal in 2016, it sold like hotcakes in minutes and become one of the most talked-about releases in months. 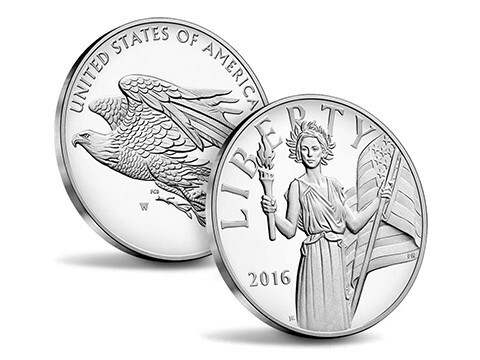 The United States Mint is slated to repeat in 2017 with the release of an American Liberty silver medal later this year. This silver medal is intended to honor the 225th anniversary of the United States Mint, which was established in 1792. 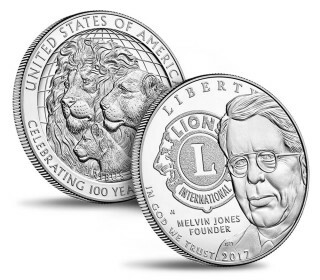 ​The 100th anniversary of the charitable Lions Club International organization is being honored on a 2017 United States commemorative silver dollar. Lions Club founder Melvin Jones is pictured on the obverse of the coins, along with an image of the Lions Club seal. On the reverse of the coin is a family of lions, superimposed over a stylized design of the globe. 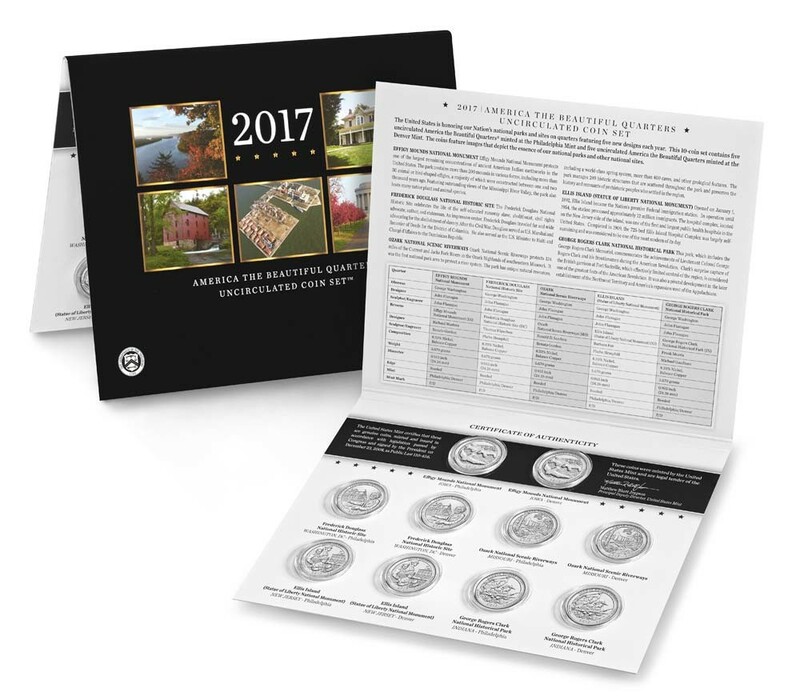 The 2017 Lions Club International commemorative silver dollar is offered by the United States Mint. ​Three commemorative coins honor the centennial anniversary of Boys Town, a Nebraska-based charity that was established in 1917 by Father Edward Flanagan. Among the trio of coins are a $5 gold coin, a clad half dollar, and the 2017 Boys Town commemorative silver dollar. 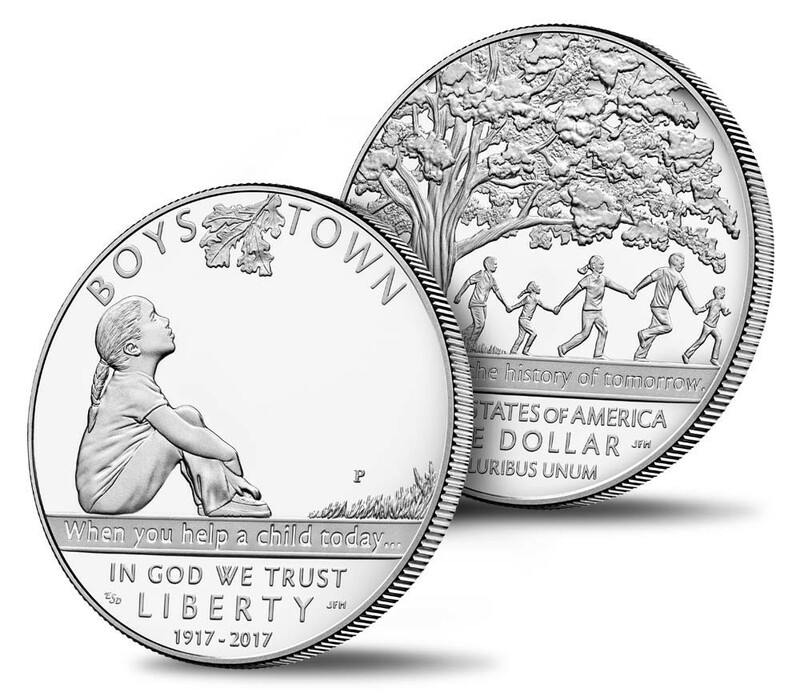 The obverse of the 2017 Boys Town silver dollar shows a young girl looking up at a short tree branch, and the reverse of the coin depicts several young people linking hands as they playfully romp about under a mature tree. The Boys Town centennial silver dollars are being offered by the United States Mint. ​The America The Beautiful quarters enter their eighth year and will tally up to 40 designs by the end of 2017. This years quarters, which are produced in 90% silver composition for coin collectors, honor the following states and landmarks: Effigy Mounds National Monument in Iowa, Frederick Douglass National Historic Site in Washington, D.C., Ozark National Scenic Riverways in Missouri, Ellis Island (Statue of Liberty) in New Jersey, and George Rogers Clark National Historical Park in Indiana. The proof silver quarters are available in proof sets issued for collectors by the United States Mint. ​Larger versions of the America The Beautiful Quarters are being issued as 5-ounce .999 silver coins that bear designs identical to the copper-nickel clad business-strikes and proofs as well as the 90% silver proof quarters. 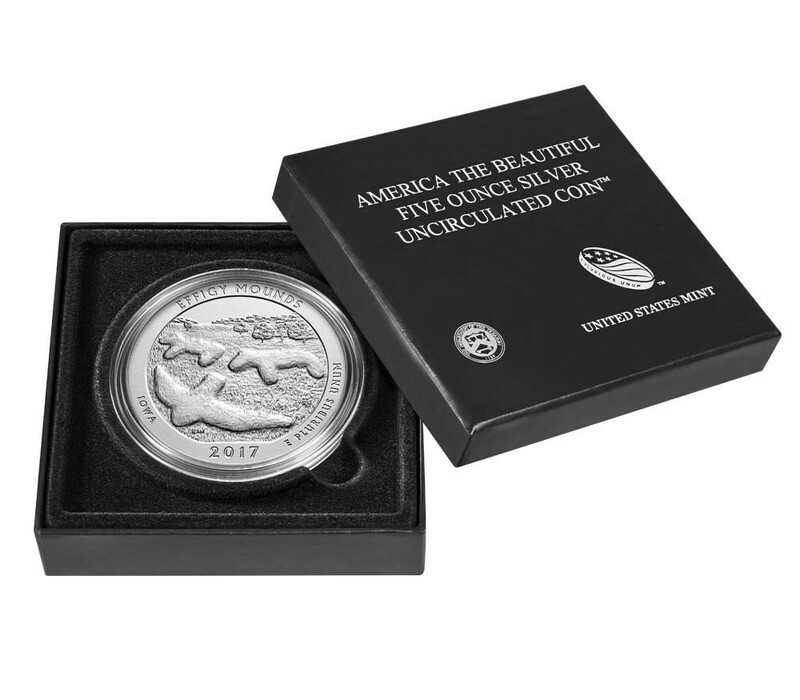 These 5-ounce America the Beautiful silver coins, which contain an incredible 5 troy ounces of silver, are struck in brilliant uncirculated condition and available from the United States Mint and private coin dealers. In addition to these coins, the United States Mint is also slated to offer 90% silver Roosevelt dimes and Kennedy half dollars that will be issued in the 90% silver proof set. The U.S. Mint often makes its silver coins available in other packaging formats, including special-issue collector sets, such as the Congratulations Set. Those who are interested in buying 2017 silver coins from the US Mint should periodically peruse the Mint's website, which is continually updated with new products.